De Flakturm is from the first generation. The tower is after the war converted to a residential building. The corresponding L-tower has been completely demolished. 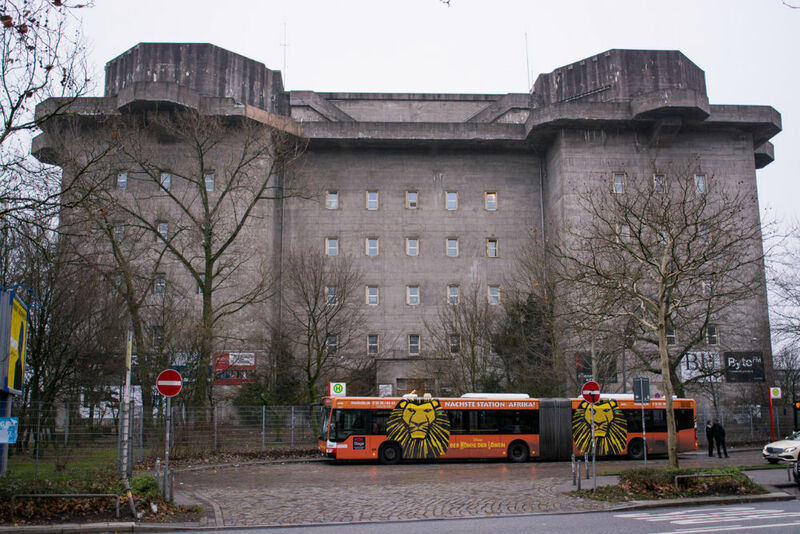 The Flakturm (Flag Tower) is a concrete bunker that is placed in a city. 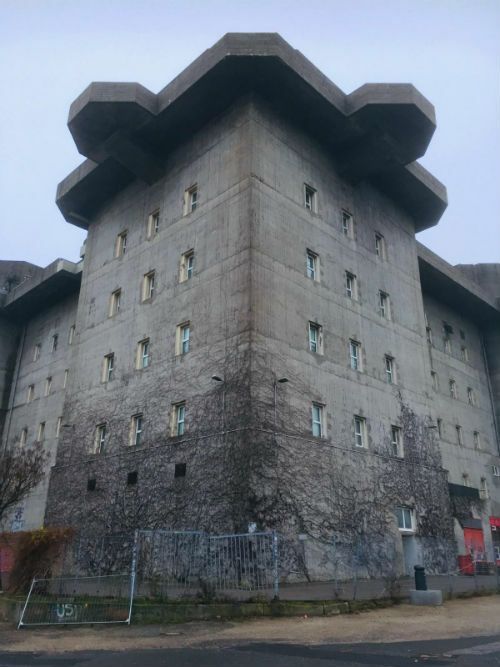 The bunker was provided with a space where people (in the largest tower itself was room for 20,000 people) could shelter during bombings and there was space for storage of goods. 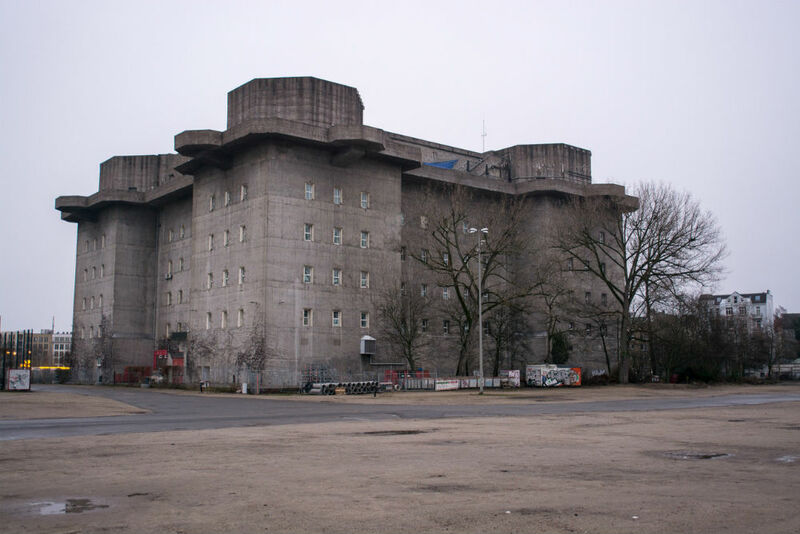 The bunker was equipped with Flak anti aircraft gun (Flak is the acronym for Flugabwehrkanone, also called Fliegerabwehrkanone). 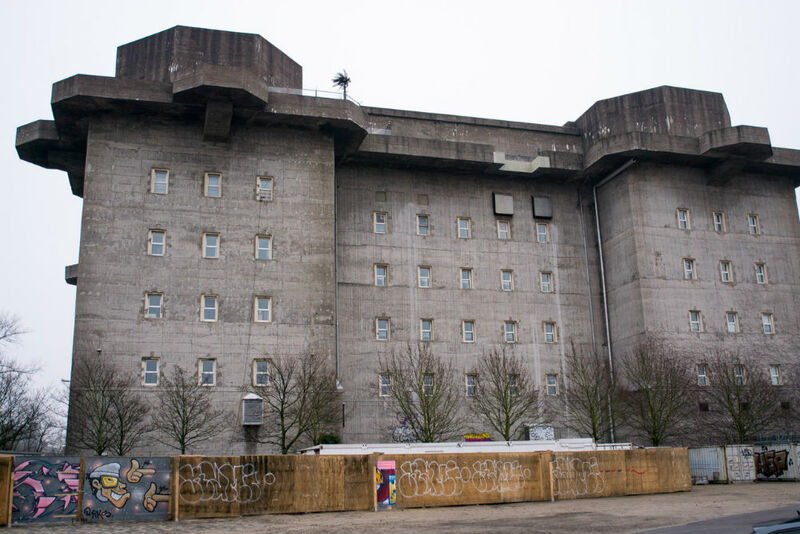 These large towers were built during the Second World War in the cities Berlin (Germany), Hamburg (Germany) and Vienna (Austria). 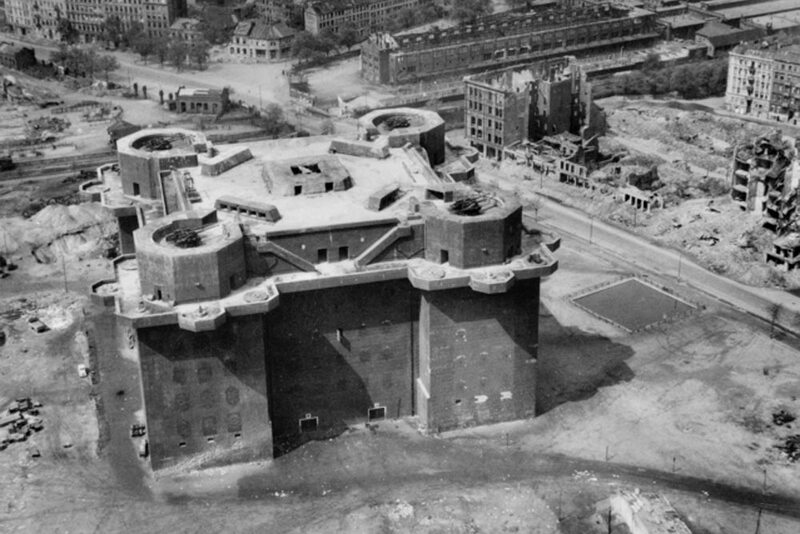 Each Flak tower complex consisted of a G-Tower (Gefechts-Turm) and L-Tower (Leit-Turm). G-Tower - 70.5 x 70.5 x 39 meters - with eight 128 mm guns and several 20, 30 and 37 mm guns. L-Tower - 50 x 23 x 39 meters - usually equipped with sixteen 20 mm guns. G-Tower - 57 x 57 x 41.6 meters - equipped with eight 128 mm guns and sixteen 20 mm guns. G-Tower - 43 x 43 x 54 meters - with eight 128 mm guns and 32 pieces of the 20 mm gun.